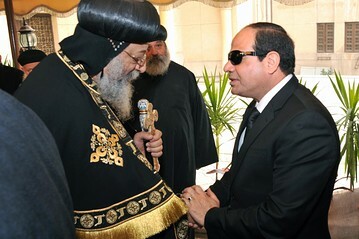 Coptic Orthodox Church leaders have pledged support for Egypt’s constitution in the referendum last year that followed the ousting of democratically elected Islamist President Mohammed Morsi by the Egyptian army, during the much ballyhooed Egyptian Spring, led at the time by Mr. Sisi. It was a rare venture into the political sphere for the Copts, led by Pope Tawadros II. Many Copts had previously blamed Mr. Morsi’s Muslim Brotherhood for sectarian violence targeting them, including arson attacks on dozens of churches in 2013. The Brotherhood denied those accusations. CAIRO—An Egyptian court has sentenced four members of the banned Muslim Brotherhood organization to death and 14 to life in prison because of the clash near the Brotherhood’s headquarters on June 30, 2013, four days before the ouster of Islamist President Mohammed Morsi. The fighting left 11 people dead and 91 wounded. The men were accused of murder and possession of firearms, among other charges. The verdict can be appealed. 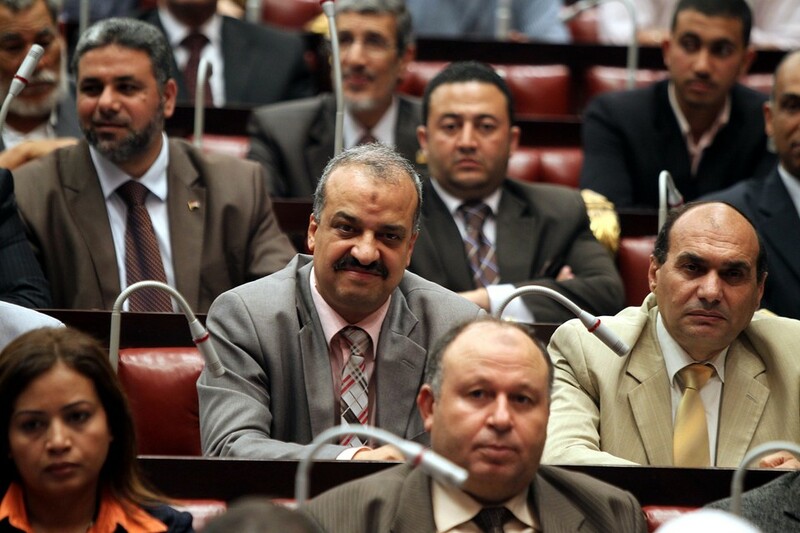 Brotherhood Supreme Guide Mohammed Badie and his deputy Khairat el-Shater were among those sentenced to life, along with former lawmaker Mohammed el-Beltagy and party head Saad el-Katatni and his deputy, Essam el-Erian. Some 22,000 people have been arrested since Morsi’s ouster, including most of the Brotherhood’s leaders, as well as non-Islamist activists swept up by police during protests. Separately an Egyptian court declared Hamas a “terrorist organization” on Saturday, further isolating the rulers of the Gaza Strip who once found a warm welcome under the country’s past Islamist government. The ruling by Judge Mohamed el-Sayed of the Court For Urgent Matters described Hamas as targeting both civilians and security forces inside Egypt’s restive Sinai Peninsula and aiming to harm the country. The Sinai has been under increasing attack by Islamic extremists since the Egyptian military ousted Mr. Morsi. “It has been proven without any doubt that the movement has committed acts of sabotage, assassinations and the killing of innocent civilians and members of the armed forces and police in Egypt,” the judge’s ruling said, according to state news agency MENA. Last month, an Egyptian court banned Hamas’ military wing, the Izzedine al-Qassam Brigades, and also designated it a terrorist organization. The Cairo court said that Hamas’ fighters had used heavy weapons against the army, and was colluding with the Brotherhood. ← Why are the Copts being massacred by ISIL?